Air fares in the Philippines are relatively cheap. If you book early, you may avail of promo fares. The fares for hops between the islands are from 99 to 4000 Pesos depending on the season, on the airline and the route. But be warned: the fares displayed are only a part of the price you pay. There are multiple taxes and fees. We recommend to multiply the displayed price by two. And there are always the terminal fees for departing travelers. See also our Taxes and Fees page. Many domestic flights are operated only between 6:00 a.m. and 6:00 p.m. during day light. There are exceptions when the destination airport has IFR navigation equipment. See also our Domestic flights page. 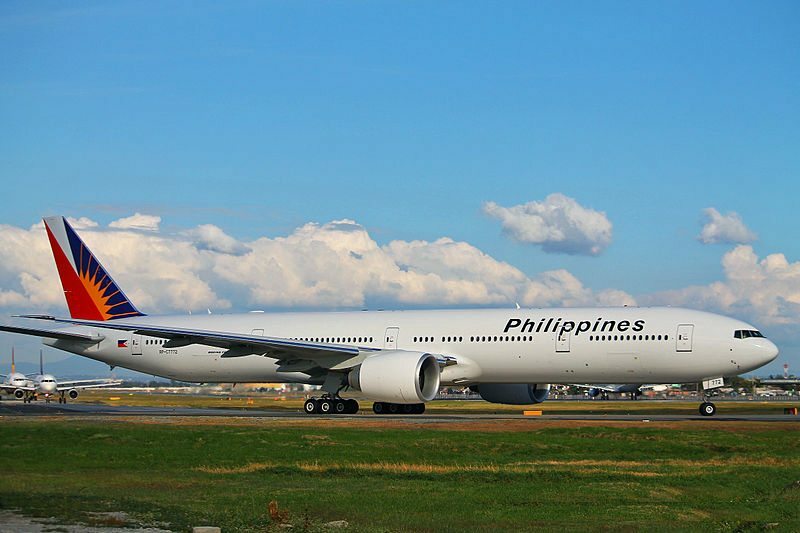 Philippine Airlines, Inc. (abbreviated as PAL) is the oldest airline in the Philippines. Formerly one of the largest Asian airlines, PAL was severely affected by the 1997 Asian Financial Crisis. 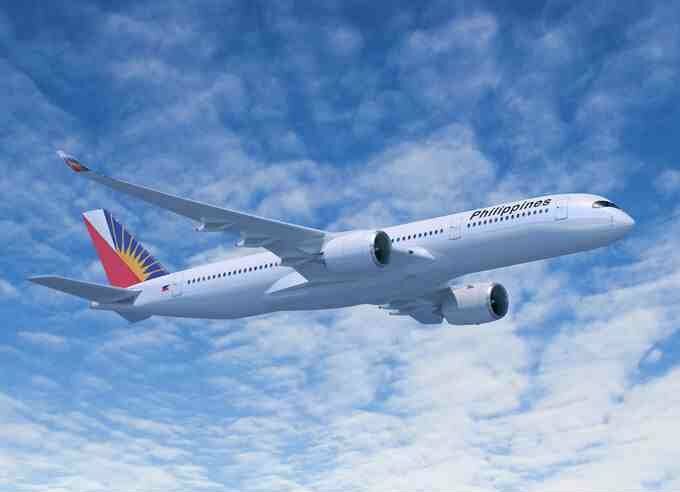 In one of the Philippines' biggest corporate failures, PAL was forced to downsize its international operations by completely cutting flights to Europe and Middle East, cutting virtually all domestic flights except routes operated from Manila, reducing the size of its fleet, and laying off thousands of employees. The airline was placed under receivership in 1998, and gradually restored operations to many destinations. PAL exited receivership in 2007. PALexpress (short for Philippine Airlines Express), formerly Air Philippines, is the low-cost regional airline brand of sister airline Philippine Airlines. After operating as PALexpress for a while, the airline transformed again the brand into Airphil Express. However, in March 2013, the company's CEO announced its re-branding into PALexpress. As a brand of Philippine Airlines, PALexpress will be operating as a full service carrier with low-cost management. In March 1996, Cebu Pacific entered the market with a promise to give "low fare, great value" to every Juan who wanted to fly. After offering low fares to domestic destinations, CEB launched its international operations on November 2001. Cebu Pacific is not just the leader in low fares but also in innovation and creativity! 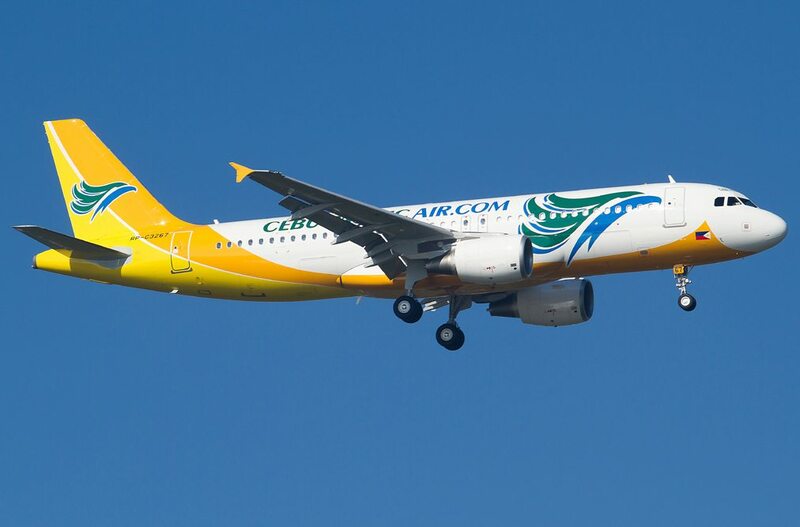 CEB is the first local airline to introduce e-ticketing, prepaid excess baggage and seat selection in the Philippines. Guests have also learned to anticipate a uniquely upbeat flying experience with CEB, as this is the only domestic carrier that offers fun in the skies with its games on board popularly known as Fun Flights. Cebgo is a low-cost airline headquartered in Manila. After its rebranding from SEAIR to Tigerair Philippines in 2015 and then to CEBgo, the company is now a subsidiary of Cebu Pacific. 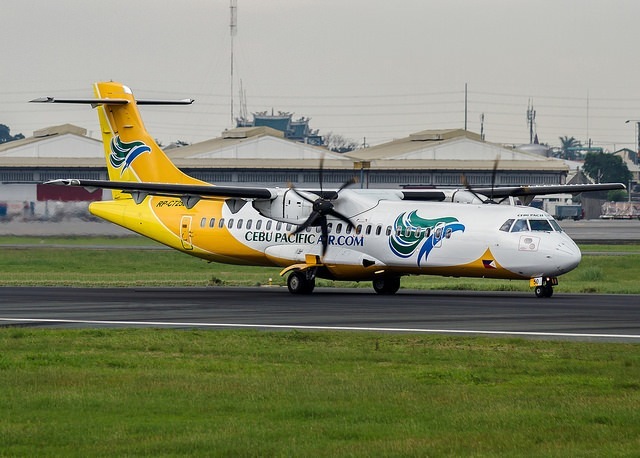 CEBgo has terminated all jet operations as it transforms into a domestic turbo-prop carrier based at Ninoy Aquino International Airport Terminal 4. 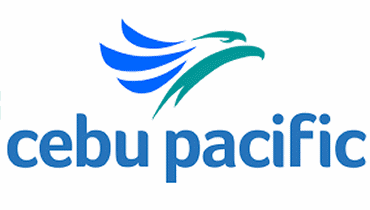 Cebgo now operates the turbo-prop fleet of the Cebu Pacific group. 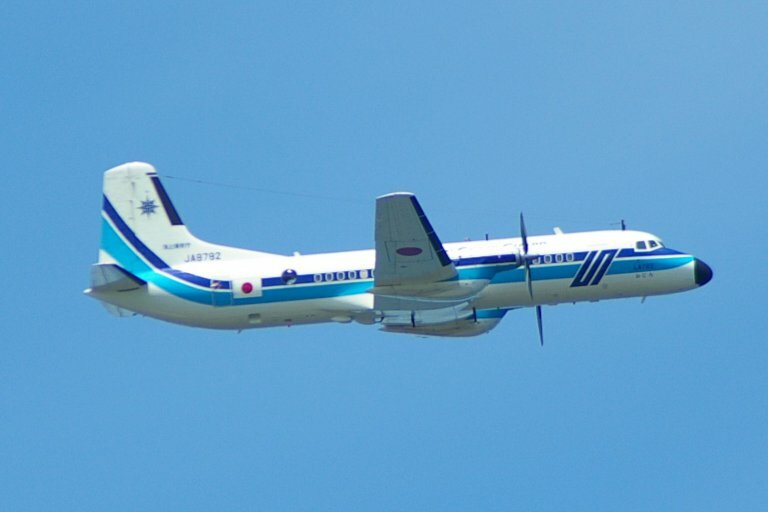 All aircraft are ATR72-600. Cebgo and Cebu Pacific Air share their booking platform. 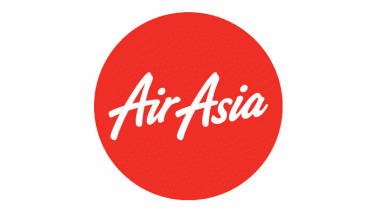 AirAsia Inc., operating as Philippines AirAsia Zest is a low-cost airline based at Clark International Airport in Angeles City. 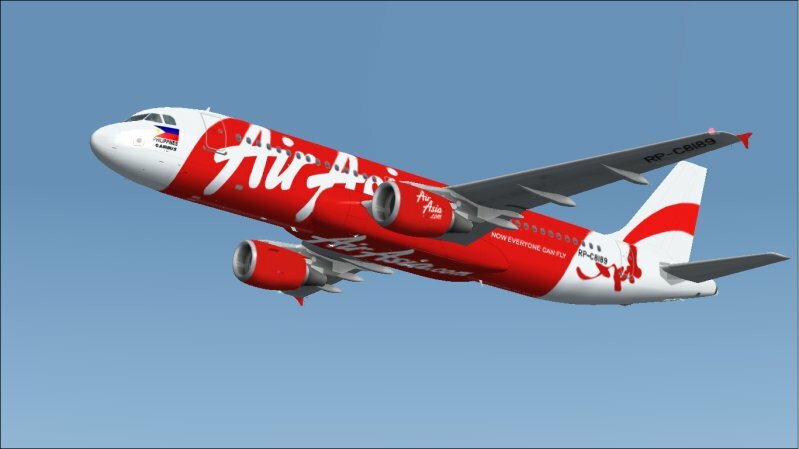 Philippines AirAsia has integrated Zest Airways, in 2013. Philippines AirAsia ZEST is the youngest and still smallest airline in the Philippines. 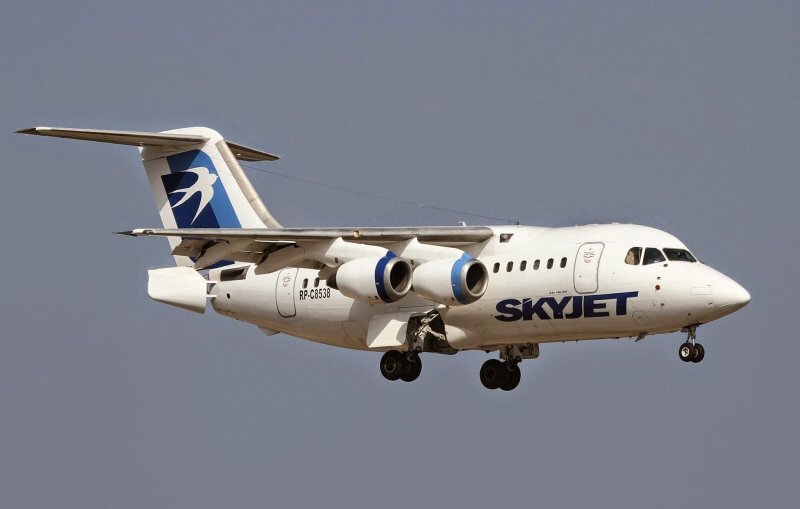 Magnum Air (Skyjet) Inc., operating as SkyJet, is a full service airline based in Manila. 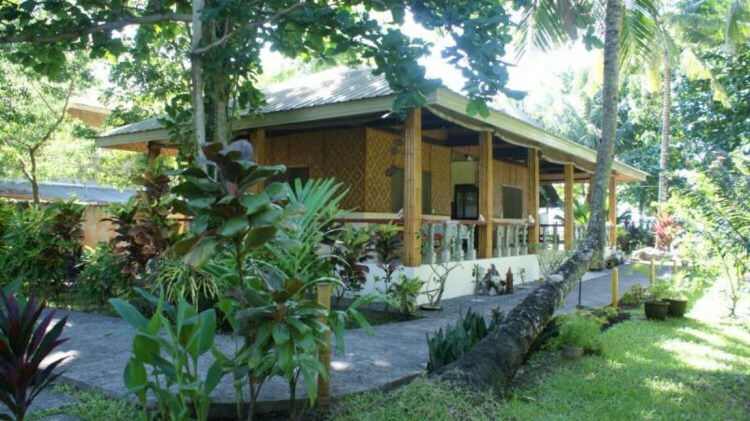 It is owned by entrepreneur Dr. Joel Mendoza. The airline begun as charter offering flights to group travel in the Philippines. 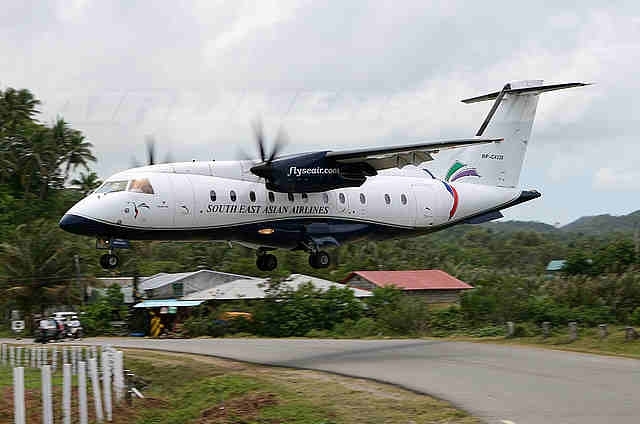 In April 2012 it launched its regular charter flight to Basco. After realizing potential and the lack of competition on the Manila-Basco route, the airline offers regular flights to Basco Airport, the capital of Batanes group of islands. 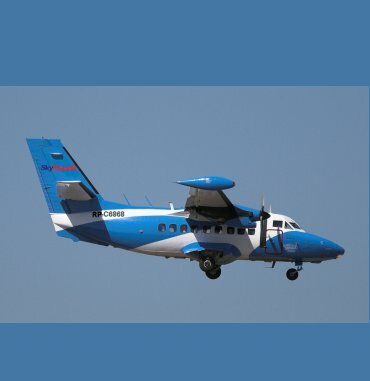 Founded in 2002 as ITI Philippines, the company had been operating three leased Dornier 228 aircraft. All of these were retired by early 2013 and replaced by ATR 42s. Ayala Capital Corporation acquired ownership of ITI in 2012. 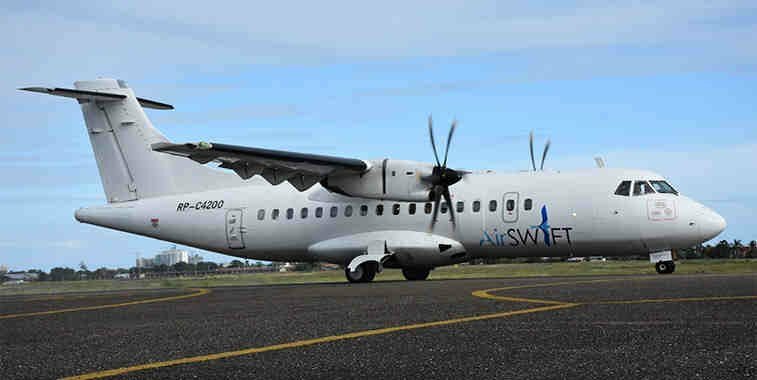 In October 2015, ITI rebranded as AirSWIFT. 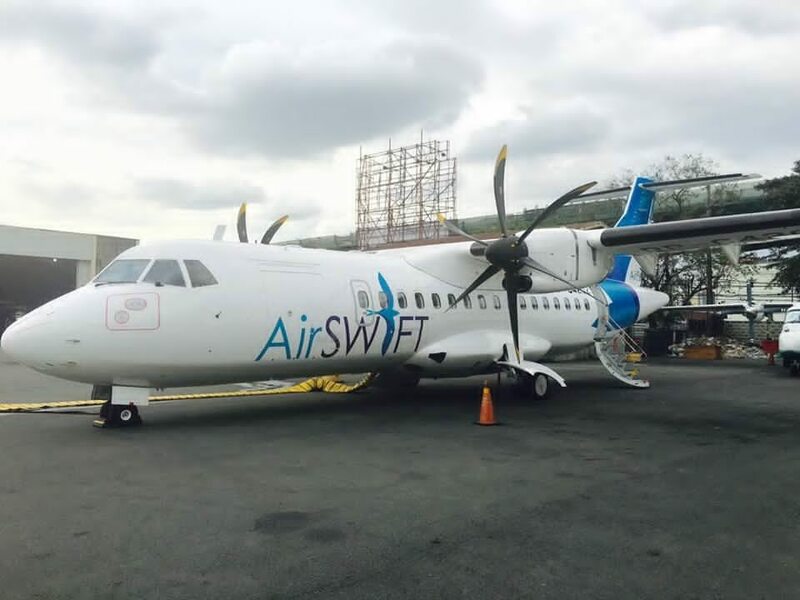 Currently, AirSWIFT has daily flights from El Nido to Manila and Cebu. Established in 2008 as Island Helicopter Services. At the beginning of 2011, the idea to provide travelers convenient travel options and access to nearby islands gave birth to its affiliate, the Mid-Sea Express. In 2013, Mid-Sea Express re-branded itself to become Fil-Asian Airways under new management. The new airline is set to relaunch flights on old routes of Mid-Sea Express using bigger aircraft. On March 27, 2013, its first commercial flight as Fil-Asian Airways commenced between Zamboanga and Cebu. Sky Pasada is the jeepney of the sky! It revolutionized the traditional hub-and-spoke concept of airline service by connecting landing destinations in circuit schedules, thus the term "Pasada." Just like the Philippine jeepney, it makes every stop-over a new starting point! WCC Aviation, Inc., operating as Sky Pasada, is an airline based in Manila, Philippines and owned by the Guico family of Pangasinan. 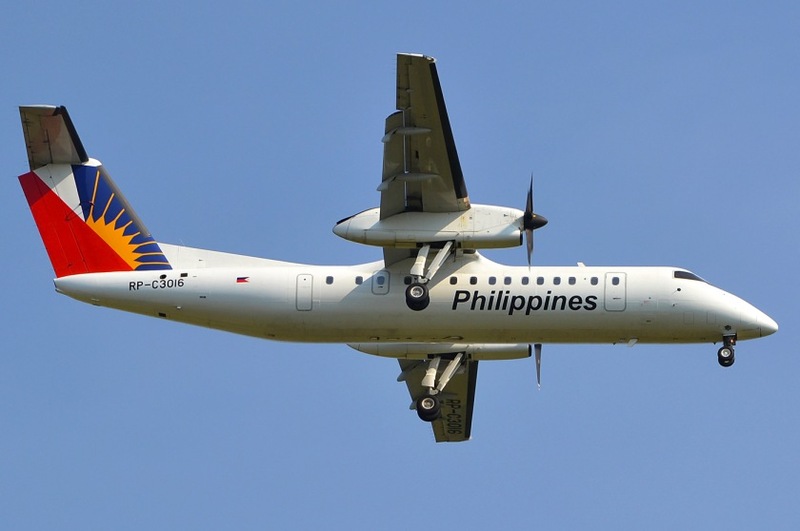 In July 2010, the airline suspended operations on order from the Civil Aviation Authority of the Philippines for the repair of its fleet of 3 Let L-410 Turbolet aircraft to conform to international standards, but resumed operations in May 2011. On June 30, 2010, The Civil Aviation Authority of the Philippines has directed to ground all LET410 operating in the Philippines due to safety concerns of the aircraft. 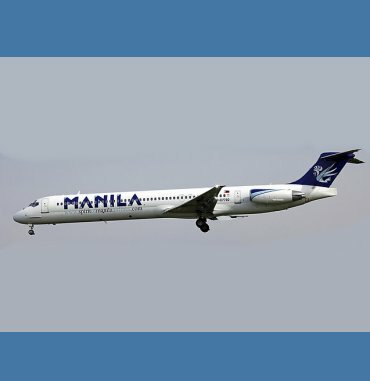 Spirit of Manila Airlines Corporation (Spirit of Manila) is the latest Filipino-owned airline company offering scheduled international and regional passenger services from Manila/Clark to key Asian and Middle Eastern countries. 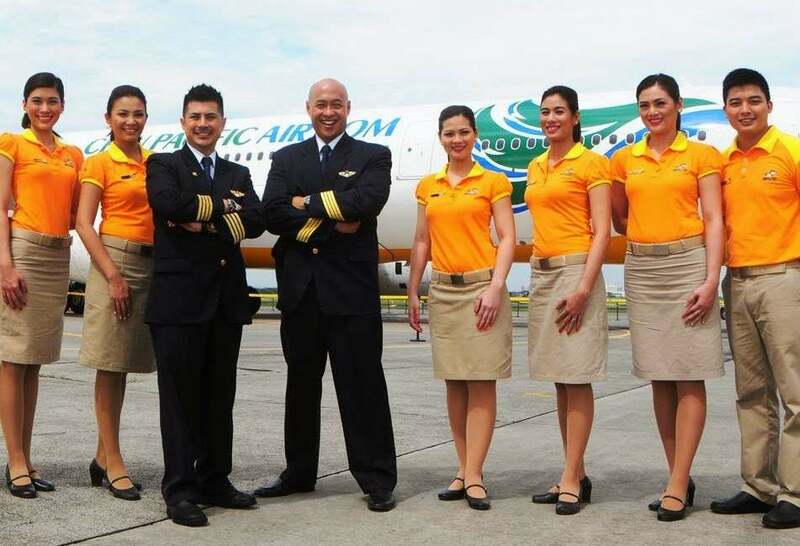 The airline is based in the Clark Freeport Zone at Diosdado Macapagal International Airport (DMIA) in Clark Field, Pampanga. The airlines adopts the slogan: "I am going home" as its tagline. They are little known, and rated badly for their cancellation of flights and poor service. (1) This "airline" has no AOC! 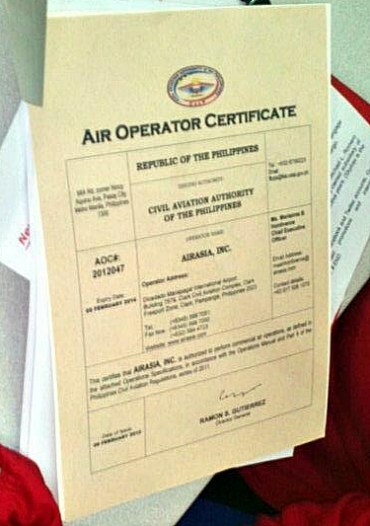 These "airlines" do not have an Air Operator's Certificate (AOC) from CAAP, the Civil Aviation Authority of the Philippines. An air operator's certificate (AOC) is the approval granted from a national aviation authority (NAA) to an aircraft operator to allow it to use aircraft for commercial purposes. This requires the operator to have personnel, assets and asystem in place to ensure the safety of its employees and the general public. The certificate lists the aircraft types and registrations to be used, for what purpose and in what area. Carriers Liability Insurance (for Airlines) - Operators are to have sufficient insurance to cover the injury or death of any passenger carried. The operator has sufficient ground infrastructure, or arrangements for the supply of sufficient infrastructure, to support its operations into the ports requested.